There are countless perks to eating at the Earls restaurant in Port Coquitlam. Earls is exceptional for any occasion. The minute you step foot inside you are greeted by a polite hostess who will ask you “which area would you like to sit in?” Whether you choose the dining area or the lounge you are guaranteed a comfy seat with plenty of elbow room. Once seated, a server will stop by to welcome and hand you a menu filled with everything from seafood to a wide variety of comfort foods and more. Then you are left with your tough decision because of all the drooling worthy choices. On most occasions I will go for the grilled to excellent Cajun chicken cheddar sandwich with the perfectly crunchy seasoned fries on the side. It is a great option for lunch or dinner. 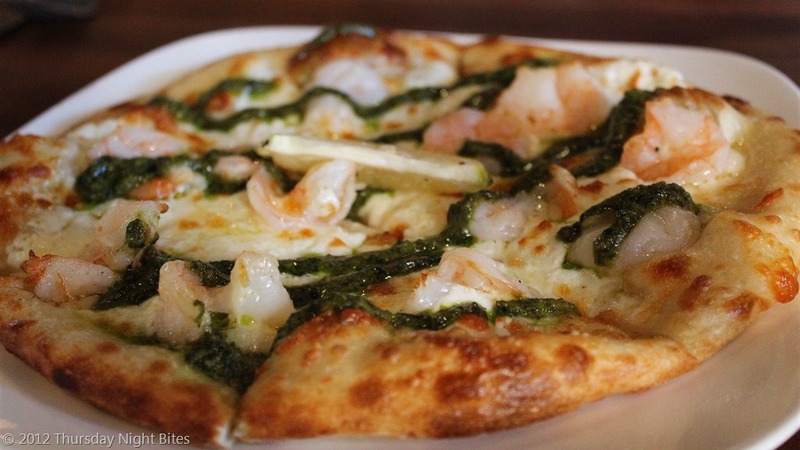 Another dish you may want to sift out is the prawn and pesto pizza that has a perfect crunch as well as a great flavour combination. Once you have decided, you can enjoy your time with friends, family, or date while you are amazed by the chefs in the back flipping pizzas and throwing them in the enormous pizza oven. Being able to talk to the people joining you is an important component for me. With the atmosphere being a perfect volume, it is a great place to talk to and get to know someone better. The scent of other guest’s sizzling eats surrounding you only make you more eager to get your own. As you think you are just about to fall off the edge of your seat, you see your server with your steaming plate of gorgeous food strutting towards you. Then you take your first bite. It will feel like July 4th in your mouth. It will only get better as you scope out the dessert menu. My number one choice is the tangy key lime pie with the crumbly graham cracker crust. Having my birthday dinner at Earls with my friends last year was special to me because I was spending the occasion with friends and sharing the delicious food. Once you have relished your meal and time spent with loved ones, you can pick up your pretty penny bill and be filled with not a drop of nostalgia. Leaving with a satisfied stomach, you know you will pay Earls another visit in a lickety-split.